With the dawning of a new invention, imitations start to pop up in order to capitalize on the successes of the originator. This is definitely the case for bitcoin. Since its creation in 2009, bitcoin’s concept has been replicated to form new digital currencies that could be mined out. The alternate forms of digital currency have been christened altcoins. Each altcoin hopes to one day become more valuable than bitcoin, while taking over traditional cash based forms of currency. CoinMarketCap keeps a log of all types of crypto currencies, from those like bitcoin that can be mined, to others like Solarcoin, which rewards users based on their contributions to help protect the environment. Coin Market Cap works as a digital currency statistics site, giving off information of a coin’s value, its market cap and how many coins are in circulation. 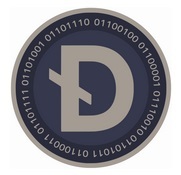 Darkcoin is a digital currency that focuses primarily on the privacy aspects of making transactions. The coins are powered by Darksend, which means users have to wait for a third party to confirm transactions before they can be considered complete. The coins require a scientific algorithm to show proof of work and so that the processing distribution is fair. Currently, darkcoins are worth $1.50 each and have a market cap of $6,295,469. Almost 4.2 million coins are in circulation today. 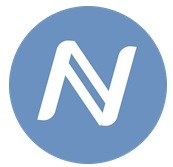 Unlike most altcoins, namecoin has a sole purpose. They won’t allow someone to go out and buy groceries or a slice of pizza anytime soon. Rather, namecoins are used to buy and register domain names. 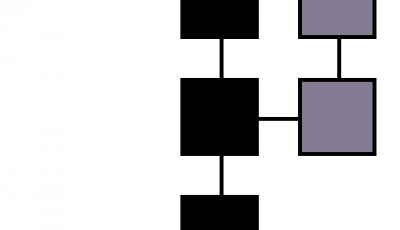 However, the open-sourced, decentralized and registration DNS system does base itself off of bitcoin’s technology. But it is more of a security feature rather than a currency. Most of all, namecoin allows a domain to lack censorship and reduce outages. Domains can not be confiscated when made with namecoins. More than 8.6 million namecoins exist, valued at $2.24 each as of this post. Dogecoin has been making a splash all over the internet. What first started out as a joke – is now a monetary instrument of value. Dogecoin is a decentralized peer-to-peer currency used to send money electronically. One notch the dogecoin can add to its belt that other crypto currencies can’t – is that it comes with its own mascot. That’s right, dogecoin has a Shiba Inus dog plastered on its centerpiece. Businesses have begun welcoming the dogecoin, and Vancouver has recently installed the first ever dogecoin ATM. Each coin is worth next to nothing, but save enough of them up, and you could be howling at the moon. It’s market cap has reached close to $40 million dollars. Not bad at all for what started out as a rib on bitcoin. 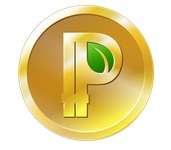 By its name, its not too hard to tell that like bitcoin, peercoin is a peer-to-peer decentralized crypto currency. Valued at a little more than $2.20 per coin, peer coin consists of a complex algorithm known as Proof of Stake, which takes up far less energy to mine than bitcoin. This digital coin also claims to be more secure than bitcoin, and coins are mined usually at mining pools. More than 21 million peercoins currently flood the digital coin ecosystem, and market cap close to $48 million. Litecoin’s market cap is worth over $300 million, while almost 30 million litecoins are in circulation. This juggernaut has the second largest digital currency following and market cap after bitcoin. Today, a single litecoin is worth around $11. At its peak, it was valued at $48 per coin. The popularity of litecoin is gradually gaining momentum, though it is not as popular as its big brother bitcoin. However, it is building a history of its own, as over 5,000 litecoins were used to purchase a Tesla Model luxury automobile. 5,447 litecoins, to be exact, were used for the purchase of a $90,000 Tesla P85. Though no altcoin comes close to the value of bitcoin, each one has only been around for about a year or less. Bitcoins were once valued at over $1,000 each, and whose to say we won’t see that happen again. As of today, a bitcoin is worth around to $450. The same can be said for all types of altcoins. It is difficult to tell whether one may skyrocket or plummet. Bitcoin is the dominant form of digital currency as of now, but that could change in the future. Factors such as which instrument makes a bigger impression on the mainstream definitely plays a role. Regardless if bitcoin gets outdone by one of its predecessors or not, it will always hold the title of being the game changing, first digital currency out on the market. The digital-big bang of 21st century. 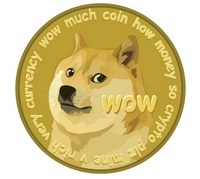 dogecoin-What first started out as a joke – is now a monetary instrument of value. One notch the dogecoin can add to its belt that other crypto currencies can’t – is that it comes with its own mascot. That’s right, dogecoin has a Shiba Inus dog plastered on its centerpiece. Each coin is worth next to nothing. People got scammed into mining, trading/ whatever with this coin, but instead of letting this scam die, oh lets give our worthless and ALWAYS WILL BE WORTHLESS, coins to sponsor a NASCAR! OMG! Did you see the Shiba!!! But in dogecoin land, “Looks like a scam, walks like a scam, must be a dogecoin!” It’s absolutely disgusting that CoinReport or any other media source continues to help fuel this scam. I do not understand why a coin needs to be valuable. If I want to transfer money to another country, I buy some and four minutes later, my pal overseas sells them. Where do you think is the value of value? Ok, then why do we need 200 of these. Why not 1, 2 , or 5, but they all basically do the same thing. Tell me, what do you have against bitcoin? Bitcoin is the most secure! I dont want to lose my money! 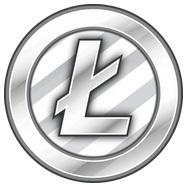 Dogecoin is a clone of litecoin, why not use litecoin. Dogecoin was started as a joke, are you so ignorant to the fact that this is a red flag. Are you so careless with your money? Someone stole the litecoin idea, slapped a picture of a dog,(there are so many dog owners in the world, and half are retards, look at what happen to you if harm a dog, laws are tougher in some places)you dog owners are being so played right now. Then there is someone like you who prob holds 10 million coins, guess what, everyone else has twice that! Dogecoiners secret wish to get rich overnite. Most, if not all alt coins are not worth getting in to. I wont feel sorry for people falling in to this dogecoin scam. – “They do all the same thing”. Who decides which currency we all use? Best, you choose and everyone follows your opinion. 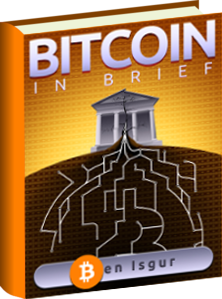 – I do not think that bitcoin is more secure. – I am using litecoin also. – 10 million coins are 450$, I am not stupid holding that much. – If everyone holds 900$, it is everyones choice. – At least, I own doges. 1 DOGE = 1 DOGE. This is whats stays. doge to the moon! Did you know that “wow” spelt backwards is “wow”? People its a scam, beware!